Toshiba C50D-A 15.6" Multimedia Laptop AMD E1-2100 Dual Core 4GB RAM 500GB HDD. With Toshiba C50D you can enjoy your media at its best. This superb laptop is fully feature loaded so you can have amazing entertainment experience with it. From high quality audio to bright display, this laptop has everything to keep you entertained. Toshiba C50D comes with a streamlined 'U'-shaped design in a textured matt black finish which adds the elegance in it. This curved design goes from chassis to the cover and to the large touchpad. Its textured matt black finish adds the grace and also works for minimizing the finger prints and gives your laptop a neat look. It is very light and easy to carry as it weighs only 2.4kgs. 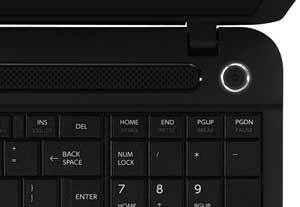 Toshiba Satellite C50D comes with 15.6display. With its LED backlighting we can watch sharp and bright images in every application. Now we can enjoy our media in good quality. The images are driven by a choice of efficient and AMD dual-core processors, along with fast RAM and a spacious hard drive. You can store all your favorite moves and songs in it. The keyboard of Toshiba C50D has an alphanumeric keypad which makes your typing experience more comfortable and convenient. It makes your work in applications like spreadsheet very easy. 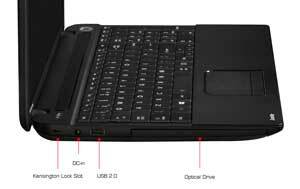 Its touchpad has multi-touch gesture support which is a much better substitute for typical scrolling and buttons. The touchpad comes with an advanced, touch-sensitive interface solution which enables us to use more than one finger on touchpad. It can sense the position of multiple fingers and we can perform pinching, swiping and rotating motions just by simple movement of our fingers. Toshiba C50D comes with integrated speakers which are fixed below the screen to give you a better sound experience. The speakers are combined with DTS Sound audio to give you high quality audio. 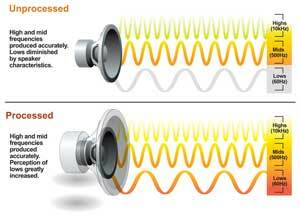 With its sound enrichment suite, bass is enhanced and the definition is improved. It gives you deep base and clear dialogues at same time. It delivers crisp and clear sound on speakers and on headphones as well. Toshiba provides you a number of connectivity options in C50D. 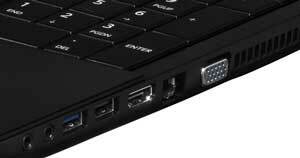 We can connect it to SD card reader, USB 2.0/3.0 ports and HDMI port. All these options make our data transfer very easy. 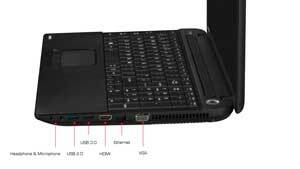 Its built in HDMI port is added to give you enhanced usability and convenience. We can now watch our media on HDTV by connecting our laptop with it. We can also connect it with projectors and other such devices. Toshiba C50D is preloaded with Windows 8.1 so you can take most out of this laptop. Windows 8.1 makes your work easier as you can place all important things on start screen. It allows you to have instant access to websites, applications and much more so you can spend more time working and less time in searching. By connecting to a compatible USB 3.0 device, such as an external drive, USB 3.0 gives us fastest ever rates. It can transfer data in ten time faster speed than Hi speed USB 2.0. All those files which took hours in transferring can be transferred in seconds now. You can transfer a feature length movie in minutes and your albums can be transferred in seconds. It saves your time and makes your media more portable. Toshiba C50D comes with an integrated HD webcam and a mic. These things let you make audio and video calls which means you can contact with your friends online. You can take pictures and make videos using this integrated webcam.